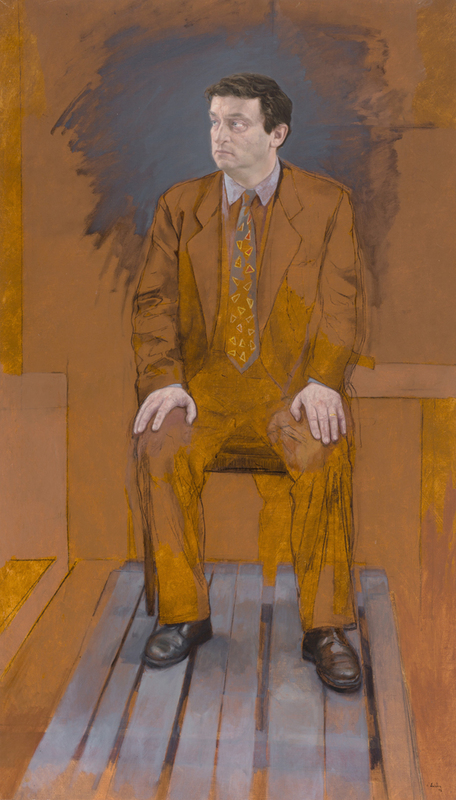 This large, almost life-size portrait of curator and art historian Sir Norman Rosenthal was painted in 1996, mid-way through Sir Norman’s 30 year-tenure as Exhibitions Secretary of the Royal Academy and was executed in Madrid. Using light earthy tones, Quintero portrays his subject in a confident yet relaxed mood with a somewhat questioning air. It is believed to be the first portrait of this iconic and charismatic figure to enter a UK museum collection and was presented to the collection by the artist in 2013. Quintero’s other portrait commissions include the King and Queen of Spain, and the Nobel Prize winner Severo Ochoa.